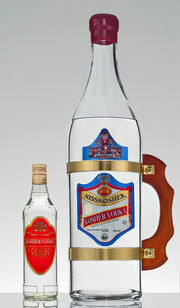 A dry vodka. Its main ingredients include: neutral grain spirit, spring water and a touch of natural fruit and herbs extract. It should be served very cold in small shot glasses. It is also excellent for use in cocktails and long drinks. A luxury clear vodka prepared with neutral grain spirit and demineralised water. 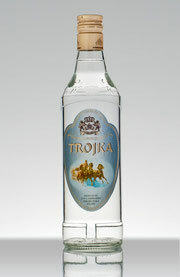 This composition gives Trojka its smooth flavour. It should be served chilled in small shot glasses; it is also excellent for cocktails and long drinks. 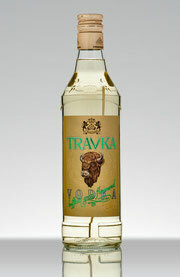 An original Polish dry vodka with a unique aroma and flavour from bison grass, which grows only in the Biełowieża Forest.